Almost done now! 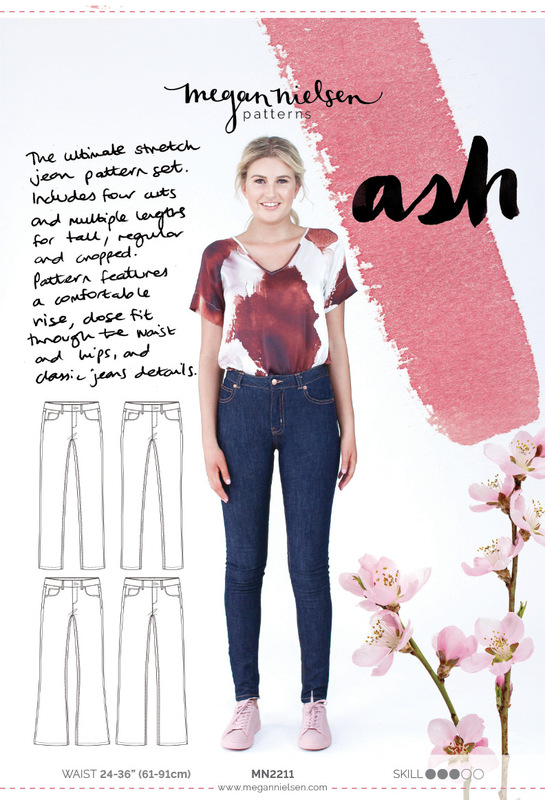 Let’s get two simple steps for our Ash jeans (or Dawn jeans) out of the way in one go, ok? Hem is so simple, there’s not much to be said about it. Easy peasy, you’ll have it done in no time. But let’s talk jeans buttonholes. A standard machine buttonhole in topstitching thread is probably not going to be easy through so much thick denim, and isn’t the sturdiest. A keyhole buttonhole is a better option, and works best for shank buttons anyway! Most home machines won’t have a keyhole button option, so we’re going to show you how to do it by hand. Also pretty simple, so don’t be intimidated by it. 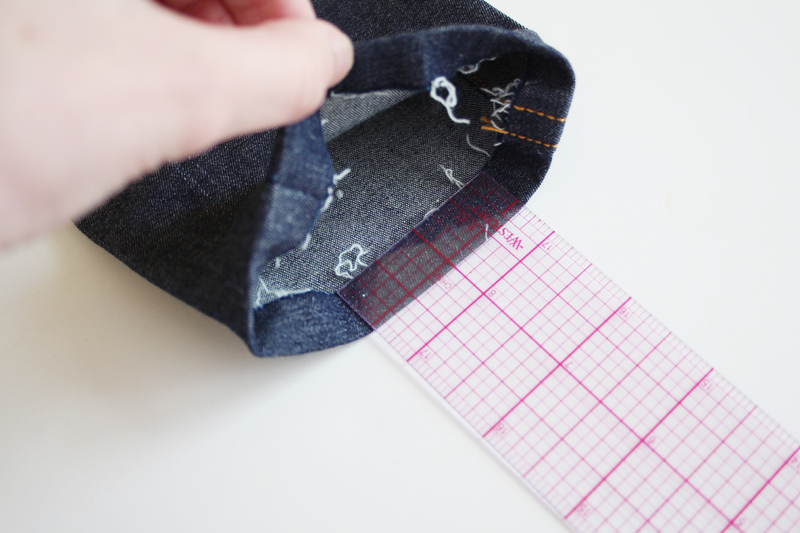 It’ll take a few goes, but once you’re ready, you’ll be able to sew it up nice and quick. Draw your keyhole buttonhole on your jeans using tailors chalk or a chalk pencil. The curved end of the buttonhole should sit about 1/2” from the edge of the waistband, and come to a point towards the belt loop/pocket. 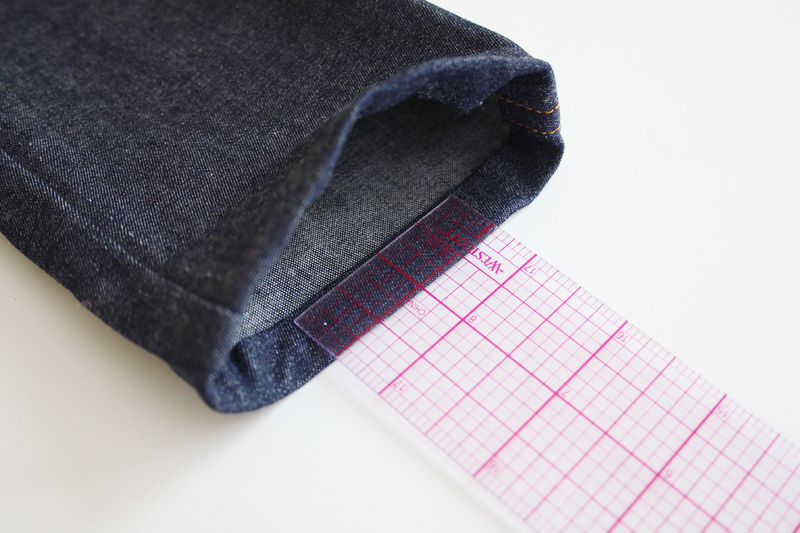 How long your keyhole is depends on your button – denim shank buttons can vary in diameter. So measure your button, and make sure your keyhole length is a little longer than that. Set your machine to a tight zig zag stitch, similar to a bar tack, and make sure you have topstitching thread in. Starting at the long straight end, stitch towards the curved end. When you reach the curve, I suggest stepping off the foot pedal and going around it by hand. Turn the hand wheel a few times, pivot slightly, turn a few more times for a few more stitches, pivot again, and continue doing this until you’re around the curve. Then continue sew down the keyhole, overlapping at the straight end. I can’t emphasis this enough – you should be practicing this many times before you do it on your jeans! I did a total of 6 practice keyholes before i was satisfied to get the zig zag length right, and to perfect the size and going round the curve. 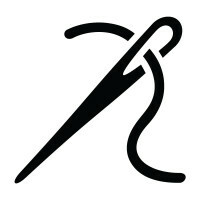 When it’s all done, use a buttonhole cutter or seam ripper to open your buttonhole. Be careful if you’re using a seam ripper though! It can be tricky ripping through multiple layers of thick denim, and you want to be careful not to rip past your stitches. 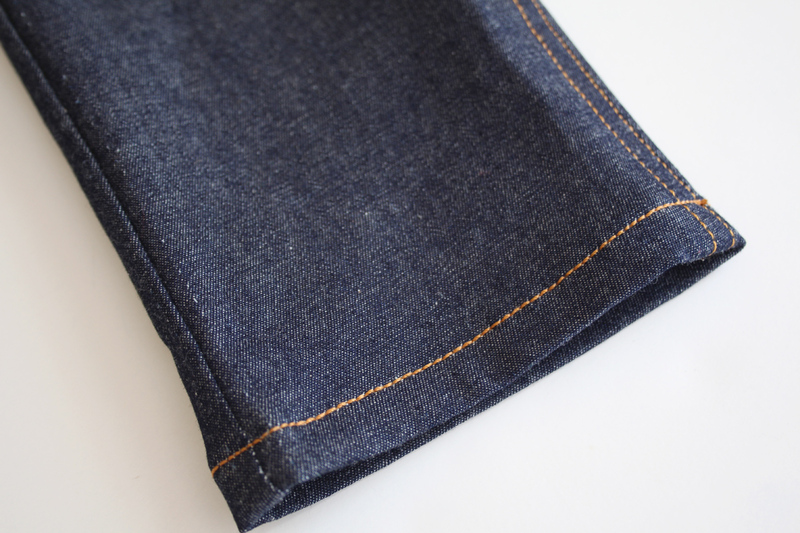 A jeans hem really isn’t any different than a normal garment hem. Meaning, its super simple. Turn in 1/2” and press. Then turn in another 1/2”, encasing the raw edge, and press again. With topstitching thread, stitch just under 1/2” from the edge, making sure you are catching that folded edge on the inside. Don’t have the Ash sewing pattern yet?! Order Ash today ! We absolutely love seeing what you make, so don’t forget to tag your creations with #MNash and @megannielsenpatterns when sharing on social media, and check out what everyone else is up to! 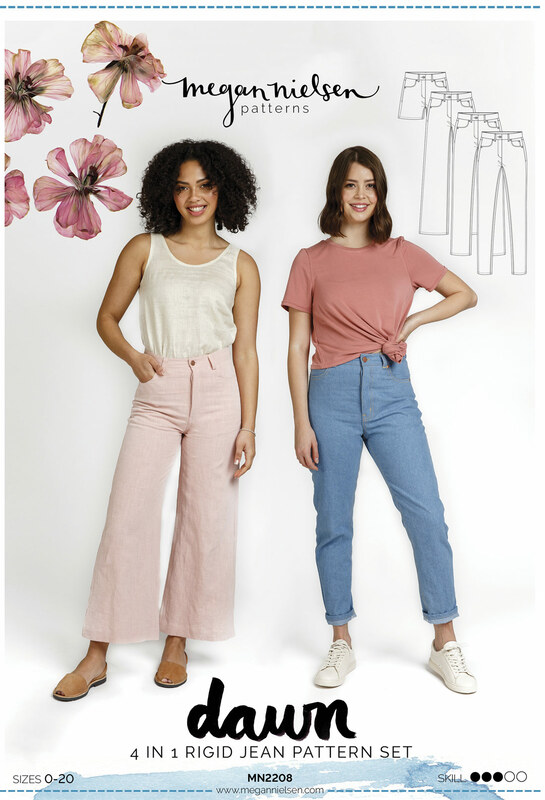 Don’t have the Dawn sewing pattern yet?! Order Dawn today ! We absolutely love seeing what you make, so don’t forget to tag your creations with #MNdawn and @megannielsenpatterns when sharing on social media, and check out what everyone else is up to!